With about nine matches remaining, the battle for Absa Premiership survival intensifies and none of the bottom six teams is safe from relegation at the end of the season. Chippa United, who are third from the bottom, will host SuperSport United in Mdantsane, near East London, on Sunday. Although unbeaten in their last four league matches, Chippa dropped two crucial points when they drew 1-1 with Golden Arrows last Friday. 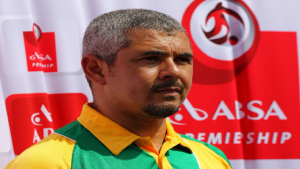 Coach Clinton Larsen says he has no sleepless nights. “We’ve got our small targets of getting five points every three games. That is all we focusing at. We don’t worry about other results; the log table and other teams. We just have five points every three games we play. We will get our target of being safe. We are not worried about other results and other teams. It’s the small details we are taking care of and the bigger picture will take care of itself,” says Larsen.